Click on, “When the Award Package is not Enough” to view additional information for other options. b) Additional fees may apply. Money can be added to your JSU Supercard™ or Add-on Dining Dollars (TigerBucks) at any time. b) Payment Plan (Complete Registration Instructions) Not available during Intersession semesters. or make a payment online, if needed. e) Intersession students should follow steps c and d above to complete registration. a) Pay for Decal in The Business Office (Location: 2nd Floor, B.F. Roberts Hall) or through your P.A.W.S account. 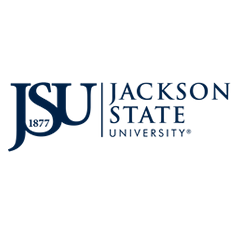 a) All students who have completed registration may take their photo and received their JSU ID Card (Location: August 10, 2017, through August 25, 2017, Jacob L. Reddix Building 2ndfloor) (ID Center located directly behind the Reddix Building) (601)979-2407.